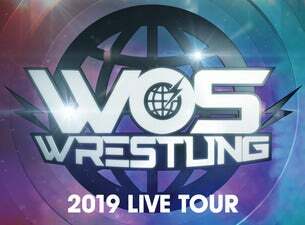 WOS Wrestling have announced a huge UK tour in 2018 after it made its triumphant return to ITV for a ten-part series. The opening show brought in a huge 1.2 million viewers, making it the highest-rated wrestling show on UK television in over 30 years. This is your chance to see your favourite wrestlers, such as Justtin Sysum, Rampage, Grado, Adam Maxted, Viper and Crater, live as they bring the iconic Saturday night entertainment live to a venue near you. More names will be anounced in the coming weeks.